Advanced Driver Assistance Systems (ADAS) have helped improve safety for road users by complementing the actions of drivers. But until recently, driver assistance systems were only available on new luxury vehicles. We are making these features available for OEMs to build into aftermarket solutions. 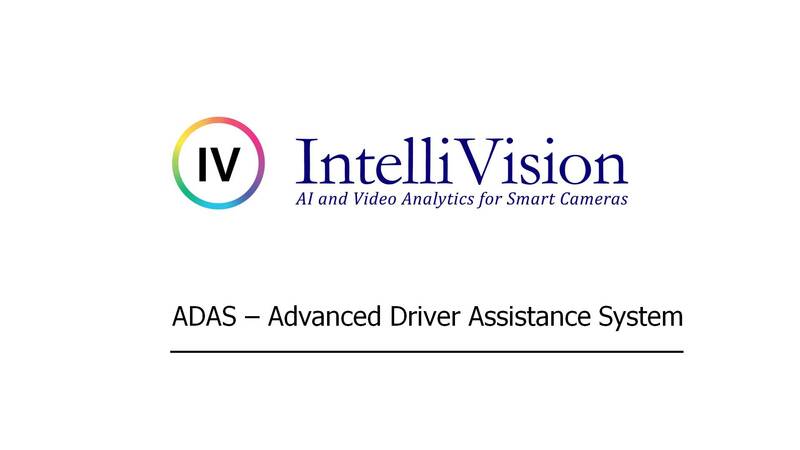 The IntelliVision ADAS product suite is an aftermarket camera-based solution for OEMs. A simple camera running our analytics software, mounted on the windshield of any vehicle, turns into a powerful and flexible driver assistance solution. Algorithms and outputs are customizable, and the software architecture is adaptable and portable onto mobile platforms. 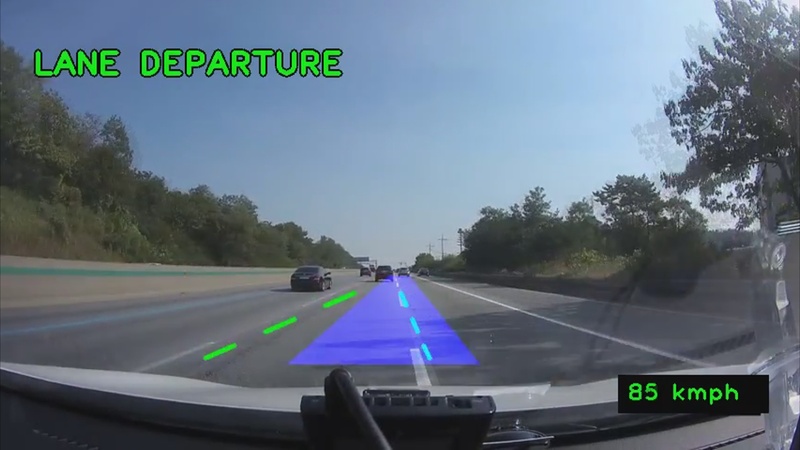 IntelliVision ADAS products can also be built into a common Car-DVR or Dashcam. Fleet managers, insurance companies and consumers want more safety and collision avoidance. Drivers want audio alerts or light signals on lane change and departure and other features. Enhances and adds value to Car-DVR/Dashcams and e-Mirror/Smart Mirrors. Lane Departure Warning (LDW) continuously monitors lanes on the road and alerts the driver to deviation. Distractions or fatigue can turn the driver’s attention away from the road. LDW can be programmed to alert the driver to unintentional lane departure - left or right. With a selection of alarm options (audible alarm, lights, HUD display, vibration), the driver can refocus attention and take corrective action. Forward Collision Warning (FCW) detects a potential collision condition with the preceding vehicle in the driver’s lane. Time-to-collision (TTC) and Headway are computed and if below a safe threshold, alarms (audible, LEDs, HUD display, vibration) are set off to alert the driver. FCW requires a forward facing camera. Efficient, Deep Learning-based algorithms with a small footprint are optimized for low-power embedded platforms, thus keeping costs low. 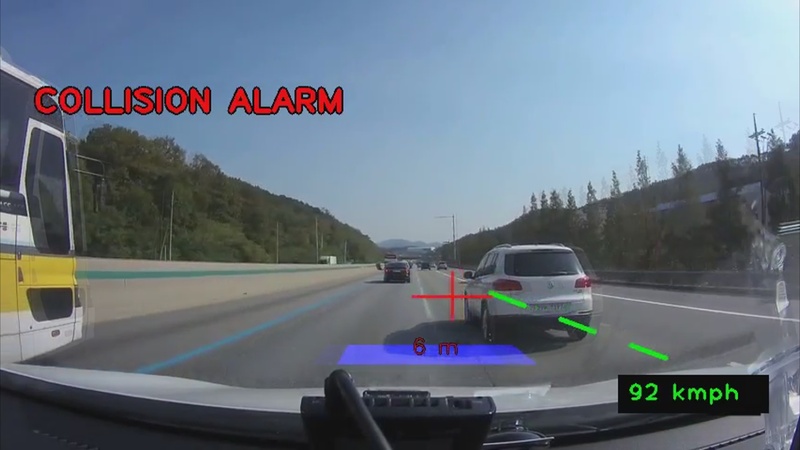 Automatically detect people walking in front of the car, to avoid collision. User-friendly - IntelliVision Smart Auto/ADAS requires no user configuration for setup. The solution automatically calibrates itself on installation. Why Smart Auto/ADAS from IntelliVision? Enhances and adds value to Car-DVRs, Dashcams, e-Mirrors or Smart Mirrors. Triggers alerts quickly and accurately, in different forms. Aftermarket solution requires no user configuration.